European Waterways is offering some seasonal specials on cruises in the British Isles. The Scottish Highlander is available at 25 percent off per cabin for the April 22 and May 20 departures, based on double occupancy. The 25 percent off also applies to those who charter the entire eight-passenger vessel for any April and May departure. Whole-boat charters discounts also are available for departures July through October. On the Magna Carta cruises on the River Thames, guests can save $1,000 off per cabin on the April 22 departure or 25 percent off the full eight-passenger charter price for all departures in April and May. The company also offers $1,000 off per cabin on the May 13 departure of the Shannon Princess II in Ireland. 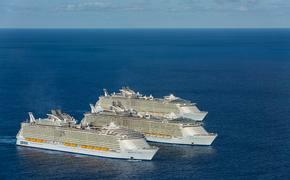 Some cruises may require a minimum of four passengers booked to guarantee the cruise.